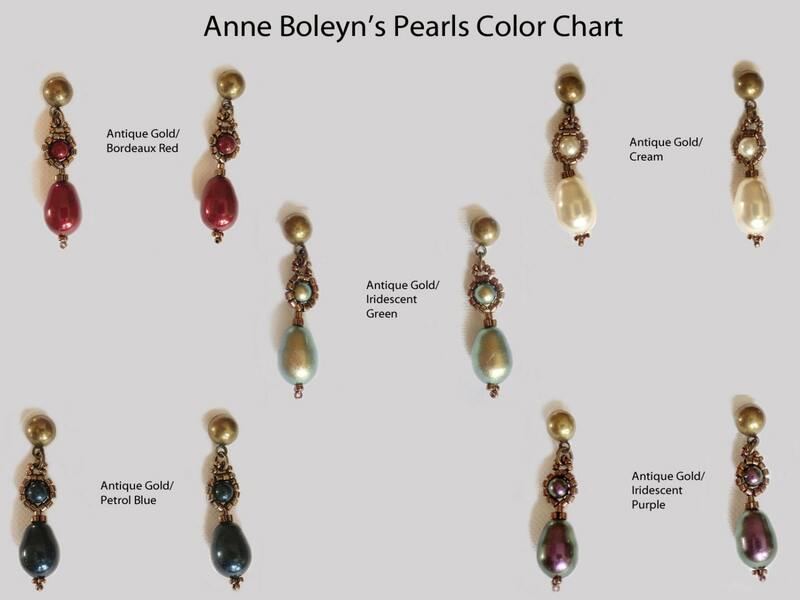 What every well-dressed Renaissance lady needs to go hawking or work in the still-room is a simple ensemble of pearls. Swarovski pearls are surrounded by seed beads in silver or gold shades – the tubular (Delica) seed beads lend a vintage mosaic look. 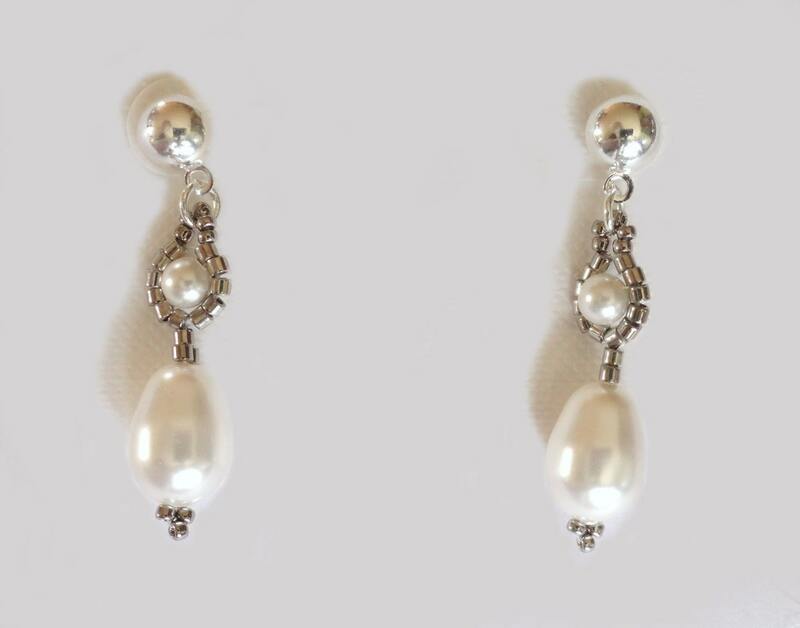 A Swarovski pearl drop adds embellishment. These are ear studs with a half-ball. 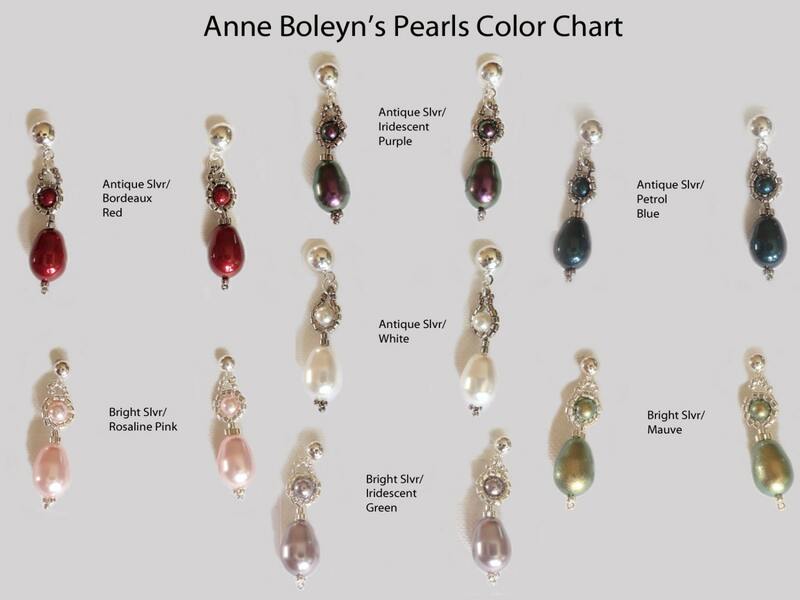 Many colors of pearls are available in combinations using seed beads in an antiqued palladium or gold finish. 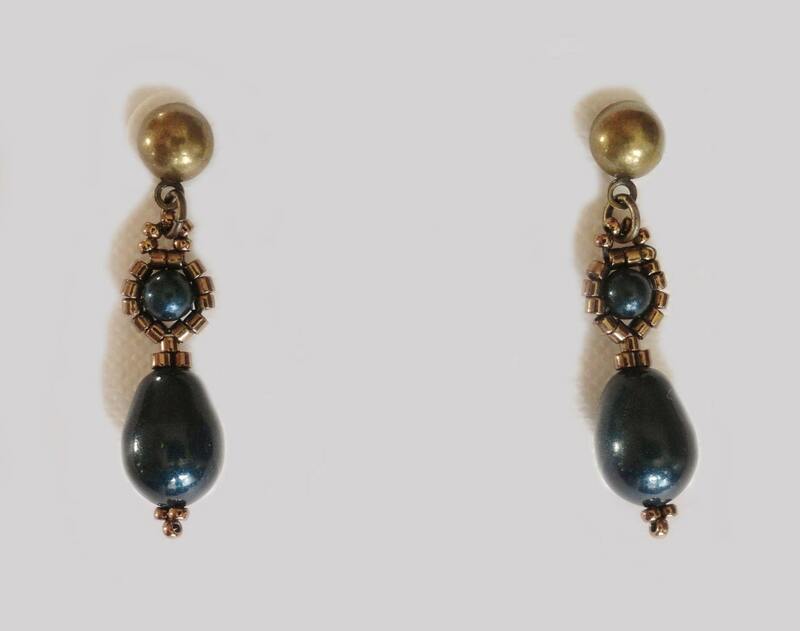 The lighter pearls have silver-plated beads. 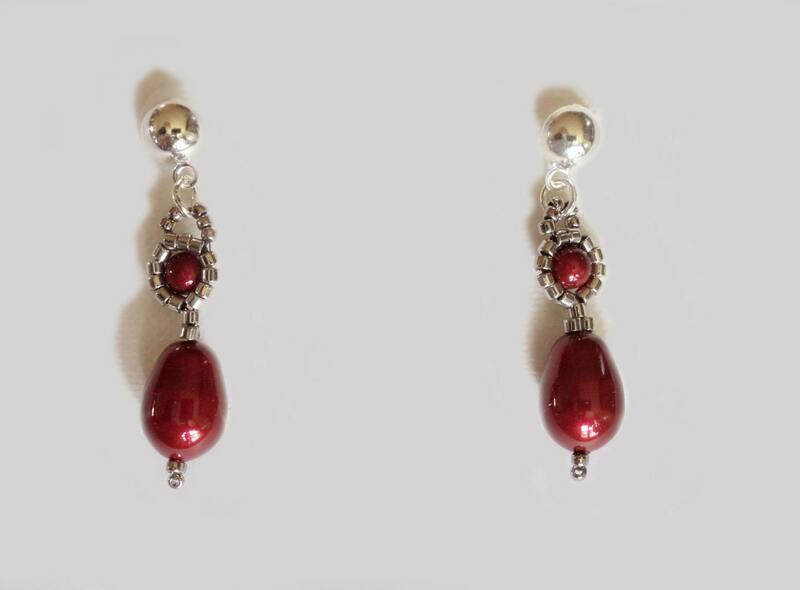 All seed beads are plated, not galvanized (coated), so the finish will not wear off. A magnetic clasp allows for easy fastening. You may also like the matching pearl necklace and bracelet.